Former Deputy Secretary General at the Department of Justice, Ken O'Leary. AN INDEPENDENT REVIEW initially considered adding a historic complaint against garda whistleblower Sergeant Maurice McCabe to the terms of reference of the O’Higgins Commission of Investigation, but decided not to after reviewing the garda investigation files. The historic allegations of sexual assault, made in 2006 by Miss D, ended in a direction from the Director of Public Prosecution (DPP) against prosecution as there was no evidence that any crime had occurred. The Charleton Tribunal is examining whether unjustified grounds were inappropriately relied upon by former Garda Commissioner Nóirín O’Sullivan to discredit McCabe at the O’Higgins Commission of Investigation. Michael Flahive, an assistant secretary at the Department of Justice, said, in his evidence to the tribunal, that senior counsel Sean Guerin SC had conducted a “paper review” of existing reports and documentation on cases which McCabe had highlighted. Following the publication of the Guerin Report in 2014, an Independent Review Mechanism (IRM) was set up with two senior and five junior counsel to consider what cases should be referred to a Commission of Investigation. Flahive said it was recognised that including the Miss D case in the terms of reference for the O’Higgins commission “could be very problematic”. “Rightly or wrongly, fairly or unfairly, it would have been seen as having the effect of putting Sergeant McCabe on the back foot with the investigation,” Flahive said. Flahive said he asked if the lawyers at the IRM, who had only seen a letter from Miss D, could also see the garda files for the case. This was organised and, after reviewing the files, the IRM decided against adding the Miss D case. The witness agreed with Michael McDowell SC, acting on behalf of McCabe, that “it would have been a huge problem for Sergeant McCabe if he was both quasi-defendant and somebody to give evidence” at the commission. Flahive said the terms of reference for the O’Higgins Commission were “are almost verbatim as recommended by Sean Guerin”, except for three small technical differences. Flahive said it was clear in his mind that it would not have been possible, or even proper, for the minister to intervene in relation to the Garda Commissioner’s legal instructions at the commission. Tribunal chairman Mr Justice Peter Charleton asked Flahive what he would have done if he had been told that someone was to “deploy as a weapon against Sergeant McCabe the actual allegation of abuse”. Flahive said he never for a second thought that would happen but, if he had, he would have had discussions with the department’s Secretary General, the Minister, and the Attorney General, to see what could be done. 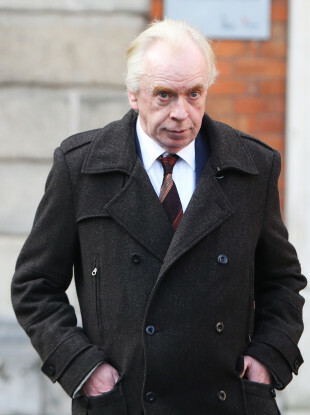 Michael Dreelan, an official in the Attorney General’s office, told the Tribunal he first learned of the Miss D allegations when he was contacted by solicitor Annmarie Ryan on 15 May 2015. Dreelan said his prior knowledge of the case was “absolutely zero”. He said he understood that although the DPP had directed no charges in the case as there was no evidence of any crime, the investigation had “a very profound impact on Sergeant McCabe” and, arising from that, that had caused a change in Sergeant McCabe’s behaviour and in his relationship with the force. “I was informed that An Garda Síochána would put it to Sergeant McCabe that he was motivated to raise the issues before the O’Higgins Commission by a sense of having been treated unjustly,” Dreelan told the Tribunal. Dreelan wrote an email about what he was told by Ryan, which he forwarded to his superior. He said he was aware that the Department of Justice would have to be informed “at an appropriate level”. Earlier, a former senior Justice official told the Tribunal it would not have been in the public interest if O’Sullivan stepped down from her post following the publication of the O’Higgins report in 2016. The commission, which sat in private in 2015, investigated complaints made by McCabe about certain policing matters in the Cavan-Monaghan district and about serious allegations against senior officers including the then Garda Commissioner Martin Callinan. “There was nothing in his [Justice O'Higgins] report that called the position of the garda commissioner into question,” Ken O’Leary, assistant general secretary at the Department of Justice, told tribunal barrister Pat Marrinan SC. O’Leary also said that if the O’Higgins report had said the commissioner relied on inappropriate strategies to do down Sergeant McCabe it “would be a different thing”. He said the commissioner “was publicly being traduced in circumstances where of its nature she couldn’t defend herself”. Commissions of investigation hearings were private, and the commissioner could not comment on any leaks from it, or on her legal advice, he said. O’Leary said a document he prepared in May 2016 was not a draft letter for the commissioner to send to the department, but a “stream of consciousness” setting out issues he thought were current. “It was not a draft in the normal sense of what we thought the commissioner would say,” O’Leary said. Marrinan noted that the commissioner had signed off on a final version of the same documents following inputs from several other people. O’Leary agreed with Marrinan that the Department of Justice and the garda commissioner could be said to act “hand in glove”, but he said that the phrase was “a bit pejorative”. “It was for a very good reason, we had to take a public interest view and our view was the public interest was not going to be served by the commissioner’s position being put in jeopardy at that time,” O’Leary said. He said this was not because of loyalty, but because the department took the view there was no proper basis for questioning the commissioner, since there was nothing in the O’Higgins Commission report which called her position into question. O’Leary said O’Sullivan was being “pilloried in public”, and having to find a new commissioner would cause “disruption”. “If O’Higgins said the commissioner relied on inappropriate strategies to do down Sergeant McCabe that would be a different thing,” O’Leary said. O’Leary said that when he received a telephone call from the garda commissioner on 15 May 2015 informing him that Michael McDowell SC had objected to questioning at the Commission of Investigation, he had not made a note of the call at the time. O’Leary said that if he had known at the time he would appear before a Tribunal, he would have loved to have an exact note of the conversation. “If we were recording every phone call with the garda commissioner, we just wouldn’t be getting work done…that’s not the real world in which we have to operate,” O’Leary said. O’Leary said he thought that although phone records showed only one call that afternoon, he thought there was a second telephone call with O’Sullivan, so he might have been called from someone else’s phone in the commissioner’s office. “I thought so any misunderstandings be avoided I better say to her that the department couldn’t become involved in what approach she took at the Commission,” O’Leary said. On the same afternoon, solicitor Annmarie Ryan informed her superiors in the Attorney General’s Office of the developments at the O’Higgins Commission, and this information was forwarded eventually via email to the Department of Justice. O’Leary said that he felt forwarding this information was a better route to advise the minister of the issue. “If the attorneys felt it right to advise us, we would have felt it right to advise the minister,” O’Leary said. Email “It would 'not have been in public interest' if O'Sullivan stepped down after O'Higgins report”. Feedback on “It would 'not have been in public interest' if O'Sullivan stepped down after O'Higgins report”.